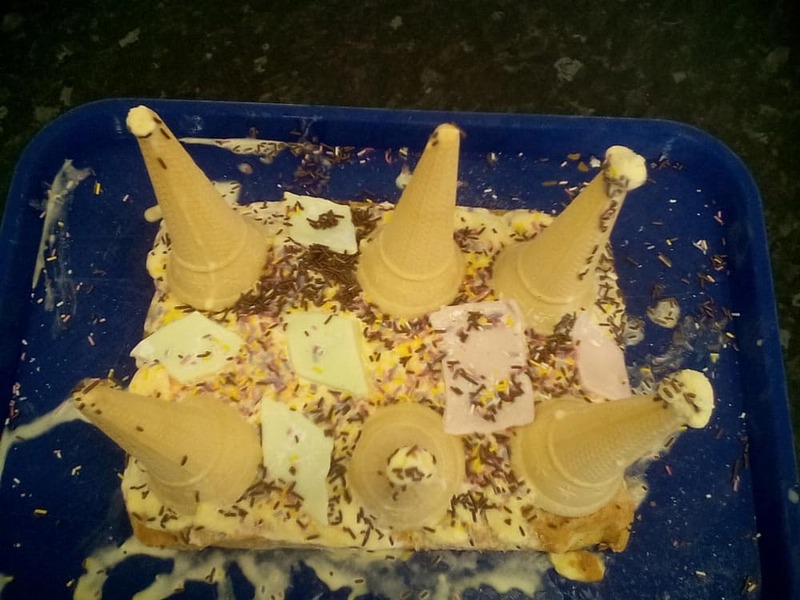 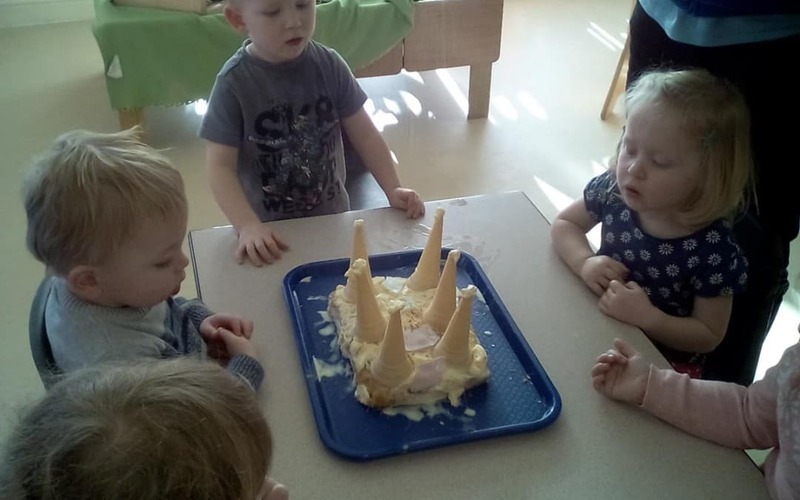 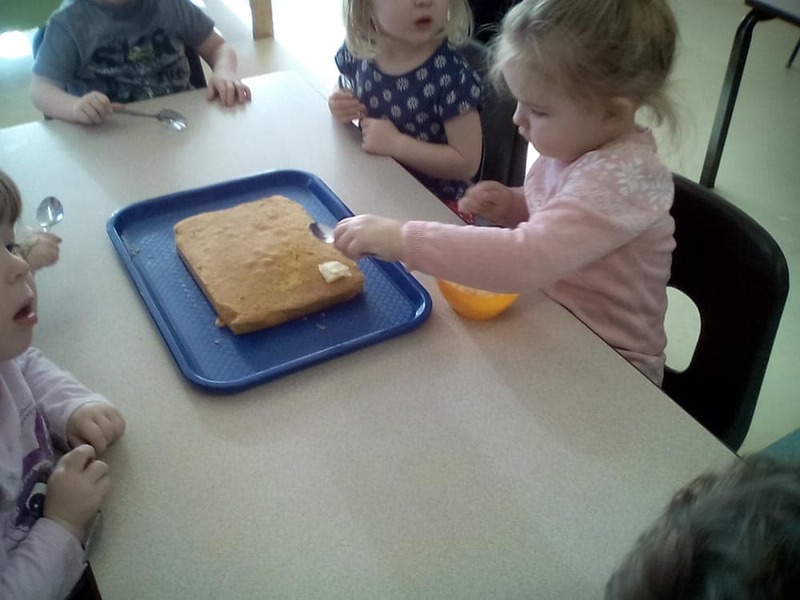 The children baked a rectangular sponge then decorated it using ice cream and upside down ice cream cones to make turrets, they then cut out shapes from icing to make the windows and doors. 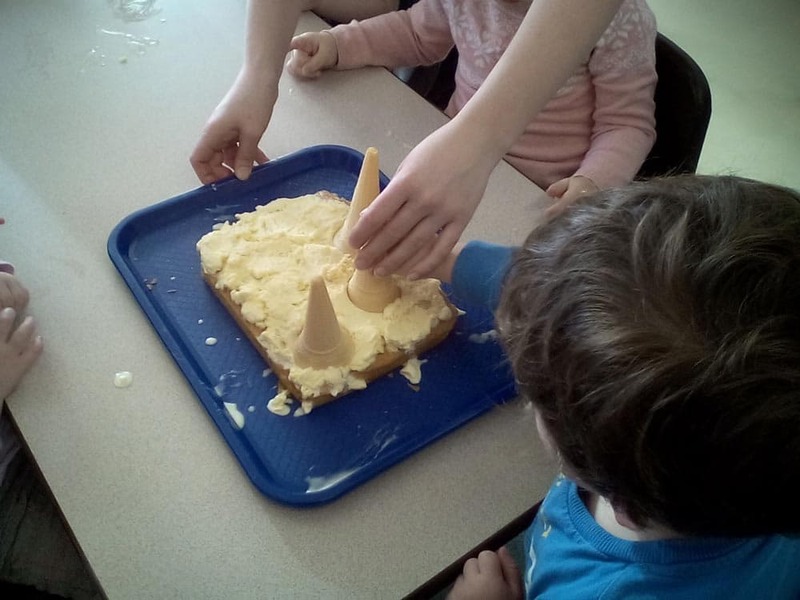 this was a really exciting, tasty way to extend the children’s knowledge and understanding of maths language and shape recognition. 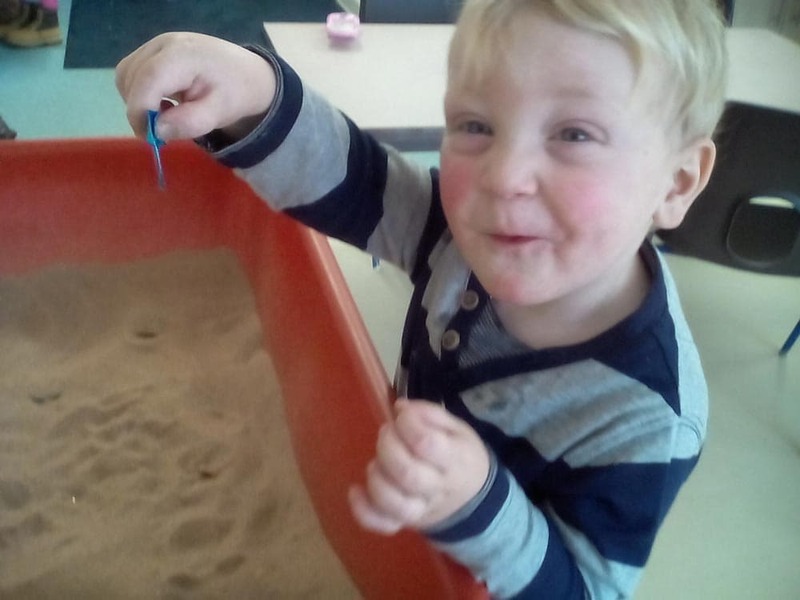 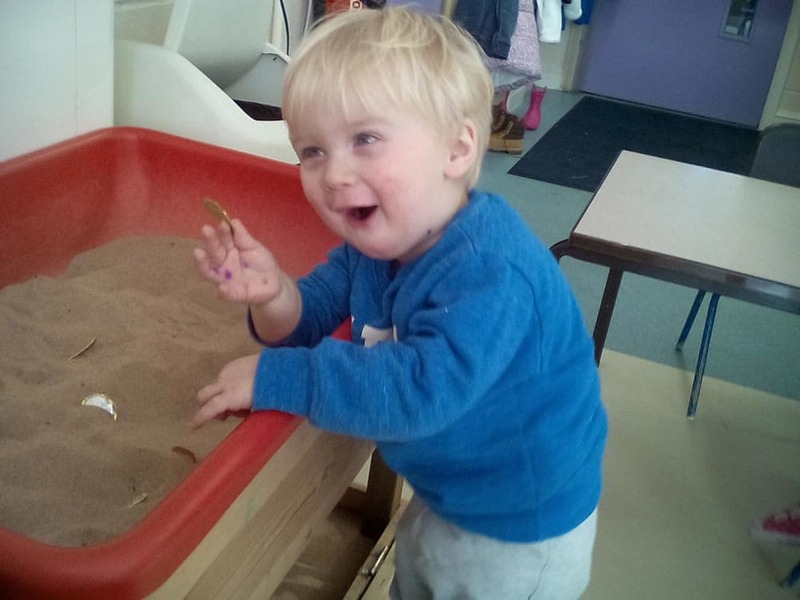 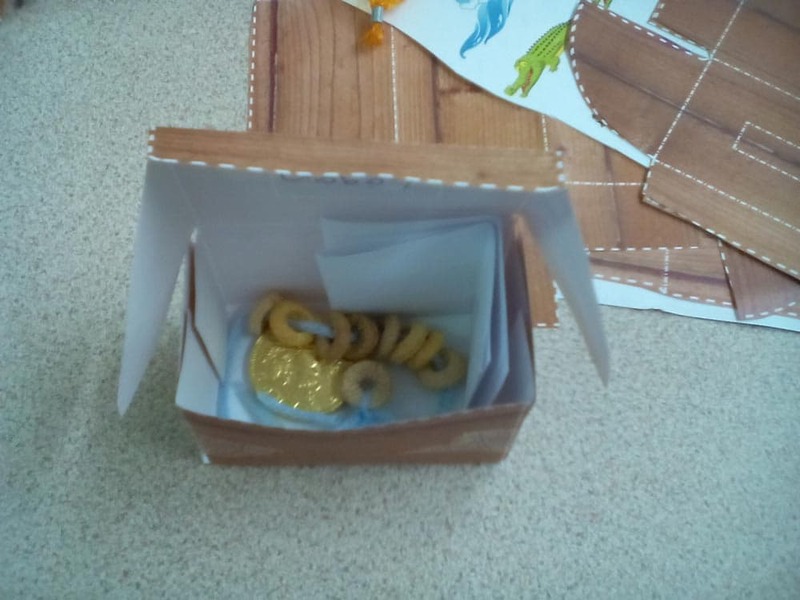 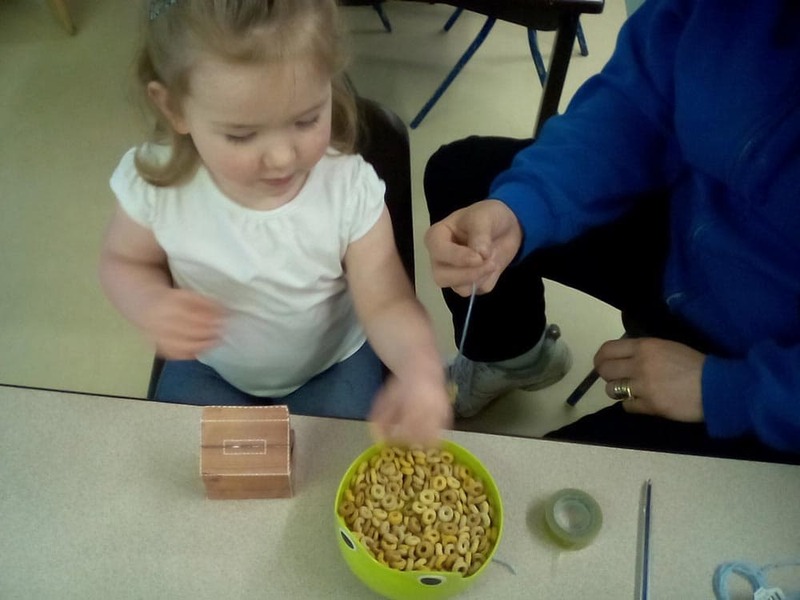 Along with the dressing up and cake baking the children have been discovering ‘treasure’ hidden in our sand trays, and making their own golden necklaces out of cereal to go into their mini treasure chests, these activities have been great for developing the children’s concentration and imagination, as well as their fine motor skills and exploring shapes.